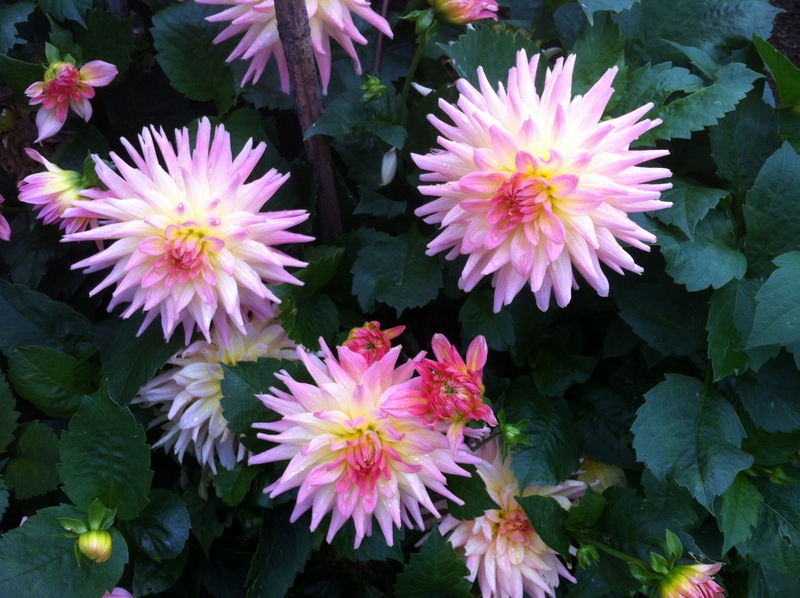 There’s little more depressing after a long summer of beautiful blooms than a dahlia after the first frosts have struck. I am told by the RHS that the frost is not essential but that the blackened foliage makes a good visual indicator that it is time to prepare the plants for winter. If your climate is temperate and your soil well drained then you might decide to cut them back, mulch to a depth of seven or so centimetres for insulation and leave in situ. If not then it is better to lift and store them. In which case this is what needs to be done. Cut the dahlia back with clean secateurs removing all the leaves and side shoots. Cut the main stem down to 5cm. Gently loosen the soil around the tuber. Allow plenty of space around the stem when doing this so that the tuber is not bruised or damaged. Lift, removing as much excess soil as possible. Turn the tuber upside down and leave somewhere dry for a couple of weeks to allow the moisture to drain from the stem. Brush away any remaining soil and trim away any small roots. Place upright in a shallow box or tray lined with some newspaper and cover with some dry compost, sand or vermiculite leaving the stem of the tuber visible. Store somewhere cool, dark and dry that will not be affected by frost or vermin. Check them once a month. The variety in the photograph above is Tahiti Sunrise taken on Bob’s plot during the summer.